12 Projects for Signature Design Studio, Inc.
Raymond has been an absolute JOY to work with. 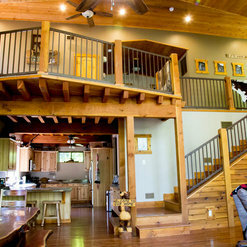 He listened to our needs and designed a beautiful master suite addition to our home. Raymond has been on the job site weekly to oversee the construction and as an interior designer, I know how rare that can be for some architects. He's with us till the end and we cannot wait to see the end results! I would absolutely recommend Raymond to anyone looking for a hardworking, fair, honest and thoughtful architect. 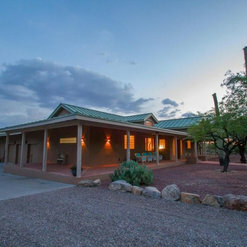 Our home is a ranch-style house that was built in the early 1960's. 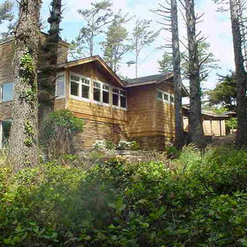 When we were ready to remodel, we were looking for a design that flowed as if it were part of the original house. We wanted some upgrades and structural changes that would use the existing footprint of our house more effectively and efficiently - the enclosure of a two-car garage, a complete remodel of the kitchen, a self-contained laundry room, and the combination of our dining room and living room to form a great room/combined open space. Raymond listened to, asked questions, and worked with us to create drawings that made our vision a reality. Remodeling is a stressful process. Raymond Ybarra made this process as pleasant and smooth as possible. He showed up regularly throughout the construction process to keep tabs on the project and its progress, communicating and advocating for us, if ever the need arose. He was always knowledgeable, professional, reliable, and thorough. I would not hesitate to work with him again and I endorse him wholeheartedly and without reservation. 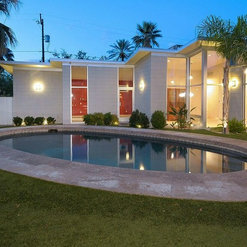 Thank you, thank you, thank you, Raymond for our beautiful home!!! Raymond was stellar to work with in designing our guesthouse and getting the plans approved by county officials. 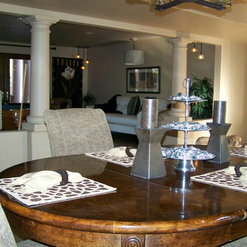 His responsiveness to our questions and communication with us and the builder throughout the project was top notch. He is a true professional, and his knowledge of architectural conception and construction standards is efficiently modern. 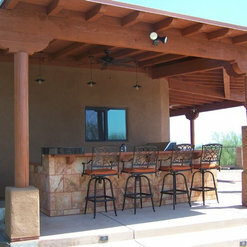 We are so lucky to have been able to work with Raymond Ybarra on our outdoor patio remodeling project. He is extremely knowledgeable and creative and brings out the best in your ideas to create a space that is better than you could imagine. He was involved with the outcome of the design as well, and spent time visiting us and working closely with our contractor and builder. Even after the project was complete, he called to find out how we liked the space and to make sure that everything was as we had hoped it would be. He also gave us ideas to improve the inside of our house, such as adding skylights to brighten up a dark interior space, which we would not have thought of without his advice. We would enthusiastically recommend Ramond Ybarra, Signature Design Studio, for any project requiring a creative, thoughtful and responsive design professional. 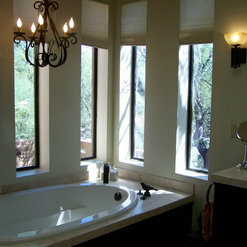 Raymond Ybarra designed a new, spacious bathroom for our 40+ year old home in the foothills. We love the space he created. It gives us all we wanted and updated the home. 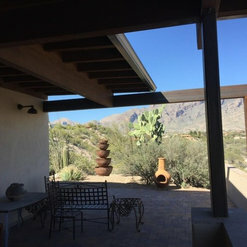 He carried the Saltillo floor and wooden beams through the addition and allowed us to mix the new with the old, a look we love. Thank you, Raymond! 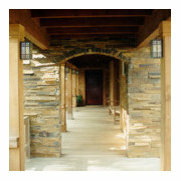 I have utilized Raymond to design 5 separate projects that have spanned for the last 12 years. Every project he did was done with the highest professionalism in a very timely fashion. I originally hired Raymond to fix a project done by another architecture firm, now I wouldn't consider using anybody else. Raymond took our initial home purchase and redesigned it to maximize its livability, beautifully! A VERY professional, personable interaction, visiting the ongoing project as needed and just to check in with regularity over our one month design and three month build out. He has good ideas and all the answers ! Raymond Ybarra of Signature Design Studio designed our beautiful master bedroom and roof deck, and we could not be more delighted with his services and with the result. Raymond patiently worked with us through our dozens of re-design ideas, and brought everything together into the perfect final design. We have been doing a lot of the construction work ourselves, and Raymond has always promptly responded to questions and provided terrific support. I highly recommend his services. 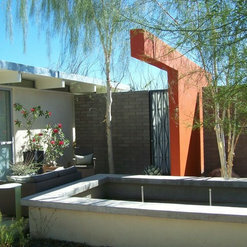 Thanks to Raymond Ybarra, I am living in a home that fulfills my every need and wish. Once I purchased the ideal lot, I was not sure how to proceed or what to expect of the process, but Raymond patiently walked me through every step of the way. I found him to be highly responsive to my ideas; he has the ability to listen and look at photos I had collected of different aspects of the home and come up with wonderful spaces I didn’t know I wanted! Raymond is professional, creative, friendly, reassuring and timely. 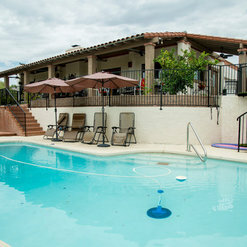 He associates with quality professionals who deliver excellent results. My home reflects my personality and style and it is a peaceful space. I have been living in this home since July 2016 and Raymond continues to check in with me, which I find very pleasant. With great satisfaction I can recommend Signature Design Studio for your project needs. 1 Ideabook for Signature Design Studio, Inc. 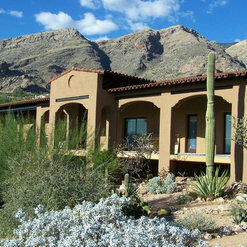 Commented: the front doorsThese are custom made doors thru a local company in Tucson called Sanoran Products. 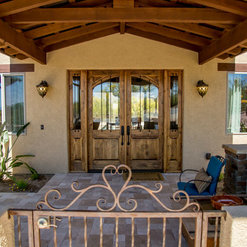 A sketch and dimensions were provided and the doors were manufactured in Phoenix and delivered to the job site.